Jonathan P. Tomes is a national HIPAA compliance consultant and attorney admitted in Illinois, Missouri, Kansas, and Oklahoma who practices in Kansas City, Kansas, and the greater Kansas City area. 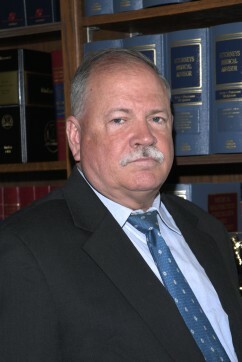 After he had retired from the U.S. Army as a JAGC officer, having been a military judge (which taught him how to read and interpret government regulations) and having spent several years as a military intelligence officer (which taught him about gathering and using information), he taught law at IIT Chicago-Kent College of Law before he opened his own private law practice. Now, he consults and presents seminars around the country on HIPAA, the HITECH Act, and now the Omnibus rule changes. He has also served as an expert witness on HIPAA, medical records, and the Federal Tort Claims Act in cases in Illinois, Washington, DC, and Colorado. He has had more than 50 books, including “The Compliance Guide to HIPAA and the DHHS Regulations”, soon to be in its’ 6th edition and the “Basic HIPAA Training DVD and accompanying Coursebook.” Both of these HIPAA compliance manuals and books have sold well over 7,000 copies since 1999. Mr. Tomes’ articles have appeared in Journal of AHIMA, Health Data Management, Medical Claims Management, Credit Card Management, Journal of the Healthcare Financial Management Association, Journal of Health Care Finance, Journal of Health Care Compliance, American Medical News and ACCA Docket, among others. Mr. Tomes is President of EMR Legal, a national HIPAA compliance consulting firm. EMR Legal has consulted and trained over 1,000 HIPAA clients since 1998, ranging from Federal, State and County governments to large hospitals to small practices. Jon is currently working on an online HIPAA training video and an online HIPAA risk assessment survey soon to be available on this website. Email him at jon@veteranspress.com. For his complete resume, click here.